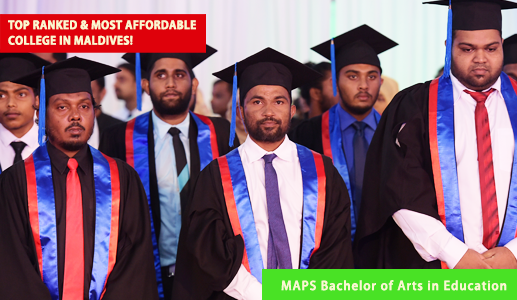 The Bachelor of Arts in Education courses are offered to the students wishing to pursue a career in teaching secondary and higher secondary students. 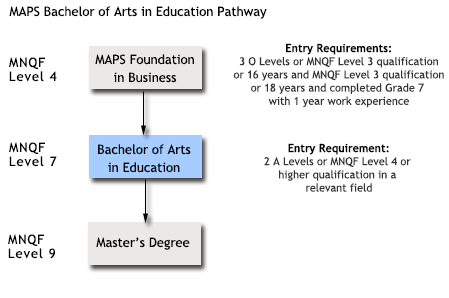 Graduates of MAPS’s Bachelor of Arts in Education will be specialist secondary and higher secondary educators who are analytically reflective practitioners, knowledgeable in their specialist content area and who are able to operate effectively in a variety of secondary and higher secondary educational contexts. Curriculum includes subject specialization modules in Economics with a blend of educational subjects and professional development modules. Specializing modules covers content in depth to prepare students with sufficient knowledge to guide and facilitate students above secondary level. Educational modules include all the necessary pedagogical dispositions required for teachers to make a life-long difference in students’ life. The course also includes a comprehensive research module in the field of education which would develop critical and systematic thinking and deepened knowledge in the field. 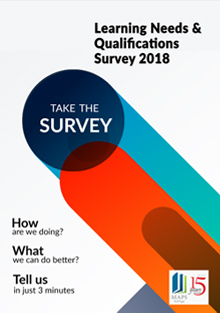 Professional experience placements in both secondary and higher secondary schools are aimed to prepare the teachers for their career under guided and effective supervision. 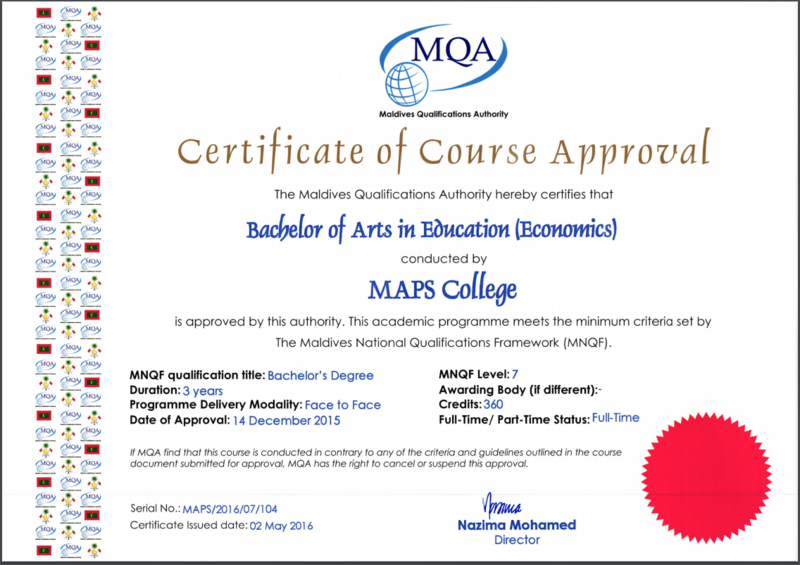 Students who complete the Bachelor of Arts (Economics) may use it as a standalone academic qualification or progress on to a Master’s degree.